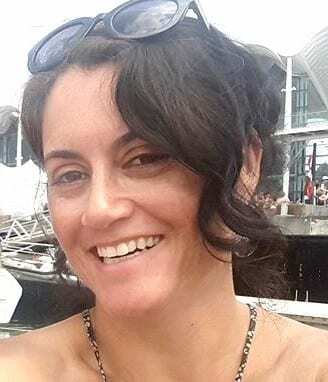 Occupational Therapy New Zealand Whakaora Ngangahau Aotearoa - » Maree Smith OTNZ-WNA tangata whenua member shares her insights on – What does nurturing and enabling resilience mean to you? Maree Smith OTNZ-WNA tangata whenua member shares her insights on – What does nurturing and enabling resilience mean to you? To me nurturing or ‘Manaakitanga’ in Māori culture does not have professional boundaries. It does not begin at 9am and end at 5pm or operate within working hours. Manaakitanga cannot be put into a box or isolated. Manaakitanga to me is about providing consistent support and whakawhanaugatanga from a collective and tikanga Māori perspective – one of holism. As a new graduate OT who identifies as Māori I have found both the Māori OT Supervision group ‘Whakamanaora’ and the ongoing support from many tutors at AUT invaluable. Waiti (2014) explored the meaning of resilience when developing a whānau (family) resilience framework through a social-ecological lens. He described a number of family and indigenous resilience factors that enabled individuals to overcome adversity including whānau support, which encompassed emotional, psychological, financial, and practical and resource support. Supportive relationships have nurtured my development as an OT from my first year studying with AUT and now as a new graduate. The ongoing support has resulted in the development of relationships with other Māori OTs who I have come to know well and provided a consistent and supportive base where I can learn from other practitioner’s and develop my occupational therapy skills in a culturally safe environment. Mentoring from AUT lecturers who are experts in their field has also assisted my development as a new graduate working in a new area of occupational therapy being Housing and Homelessness. Similarly, in Māori culture, the role of Tuakana-Teina (knowledgeable older adult or sibling) often promotes a reciprocal relationship of knowledge sharing similar to a mentor or role-model (Ware & Walsh-Taipata, 2010). Consistent support within a collective has allowed me to develop my confidence in both tikanga Māori and as an occupational therapist. It has given me a sense of belonging which speaks to me as Māori. This has promoted my spiritual and emotional development allowing me to navigate challenges more calmly and effectively. I trust my skills and back myself more as I know I have people I can contact for guidance and support both professionally and personally. In the current health environment what is the significance of being resilient? According to Penehira et al., (2014) state control and neoliberalism has economically and socially disadvantaged Māori, resulting in poor socio-economic, health indicators and inequities. The current health environment lends itself to economical and funding models which are outcome based as opposed to need based. Such models do not align with Te Tiriti O Waitangi and OTBNZ competencies in terms of reducing Māori health inequities. This can be quite frustrating as a new graduate Māori occupational therapist who is constantly using the OTBNZ competencies to guide practice but is often left feeling conflicted. This conflict has tested my resilience this year and I am sure it will continue, until we see the end of neo-liberal policy making. For now, it is significant for me to stay resilient to advocate and promote social justice for Māori who cannot advocate for themselves, to ensure Māori get the resources, care and support they are entitled to as Aotearoa’s indigenous people. In the current health environment do you think health professionals get enough support to learn, innovate and develop resilience? Much is reliant on funding and resources, the day to day needs of the working environment and managers having the time to support and develop staff initiatives. Professional development doesn’t have to include participating in expensive courses or conferences as we can learn a lot from our peers within the workplace and across organisations. All staff bring a variety of strengths and expertise to a role. It’s important for managers to take the time to identify a person’s key strengths and give them the opportunity to explore how those strengths can be used in the workplace or on a project. Tapping into interests and expertise which is meaningful for staff can promote creativity and variety to a role, develop interpersonal relationships and provide purpose and learnings across a department or organization/s. – Equitable governance across health and social sectors. – Increase the use of cultural frameworks to guide not only service delivery but also how staff operate daily. For example, tikanga Māori and collectivism. – Equitable and sustainable funding models based on need not outcomes. – Increase access to resources and funding. – Collectivism, manaakitanga and whakawhanaungatanga both during and after work hours. – Develop a reciprocal mentor or role model system where senior OTs support graduate and junior OTs and graduate and junior OTs provide new learnings for senior OTs. This would be weekly rather than monthly and be ongoing. – Salary and wage equity particularly NGOs and organisations who do not use Salary scales. It can be disheartening when you find out differences in salary when you have similar skills and experience. – Provide ongoing opportunities for staff to develop meaning and purpose within their role. Maree Smith is of Ngāpuhi and Te Rarawa descent, with close affiliations to Ngāti Hau, Patuharakeke and Ihutai. Maree acknowledges both Takahiwai and Whakapara Marae through her grandmother and Tauteihiihi Marae through her grandfather. Maree is an advocate for Māori health and well-being by promoting social and occupational justice. Maree has recently completed her first year as a new graduate Māori Occupational Therapist using her occupational therapy skills to support people living in social housing sustain their tenancy. In 2017, Maree completed her Bachelor of Health Science Honours; conducting a research dissertation questioning a potential relationship between meaningful participation and resilience in Māori and other Indigenous youth. Maree loves to spend time with whānau and friends, hiking and exploring New Zealand National Parks and enjoying the outdoors. Penehira, M., Green, A., Smith, L. T., & Aspin, C. (2014). Māori and indigenous view on R & R: Resistance and resilience. MAI Journal, 3(2), 96-110.). Waiti, J. T. A. M. (2014). Whakaoranga Whānau: A Whānau resilience framework (PhD thesis). Massey University, Wellington, New Zealand. Ware, F., & Walsh-Tapiata, W. (2010). Youth Development: Māori Styles. Youth Studies Australia, 29(4), 18. Retrieved from hhttp://search.informit.com.au.ezproxy.aut.ac.nz/documentSummary;dn=568567466586735;res=IELFSC> ISSN: 1038-2569.